People often think librarians spend all their time reading. At least, that was the old stereotype, particularly for public librarians. Nowadays people probably think we sit at computers and search the internet all day. Because we allegedly read all the time, library users expect us to have read practically everything in the library. I suppose a large percentage of librarians are dedicated readers, but we have our likes and dislikes, just like our library users do. If a user wants to know about mysteries, my favorite type of reading, I am happy to oblige. 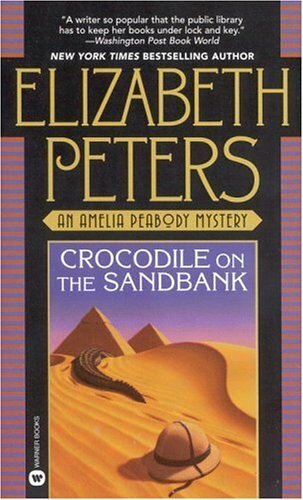 Perhaps my favorite mystery writer of all is Elizabeth Peters, also known as Barbara Michaels (and inreal life as Dr. Barbara Mertz, Egyptologist). I love her wit, her use of language, her enjoyable and engaging characters, and her ability to spin an absorbing story. Her books are some of my best and dearest friends. When you're going through a rough patch or are hit with a sudden, devastating loss, I think it is only natural to want to spend time with one's friends, whether those friends are humans, animals, or books. Preferably all three. I have my two children, Sean and Laura, and I have my faithful feline companion, Diesel, among others. But for times when I need to be on my own without them, I have my books. During my darkest days, after the deaths of my wife Jackie and my dear aunt Dottie, I spent a lot of time with Elizabeth Peters.I needed someone who could take me out of myself, out of the present situation, and put me in a place, a frame of mind, where I could forget the sorrows. She never, ever let me down. Tonight is one of the times I need to spend time with her. Now, if you'll excuse me, I have a date with Amelia Peabody and Vicki Bliss. What a lovely tribute to this wonderful mystery writer who just left this earth. Readers everywhere mourn her passing. You just made me cry. Again. I've been leaking tears on and off ever since I read the news about her passing. She was and always will be my all-time favorite author. Thank you for this tribute. I'm glad she wrote so many books for us to enjoy--again and again! Very nice tribute. I haven't read her books for ages, but I remember how good her books are. You have done her proud. Always a great reading adventure for those times we need to escape. Thank you all. She was a wonderful friend and an amazing writer. I am sorry for your loss. I have not yet read her books, but there are some on my shelves. I didn't know that she died! I know she hadn't had any books published for a few years and the last one said that it was the last Jacqueline Kirby book. 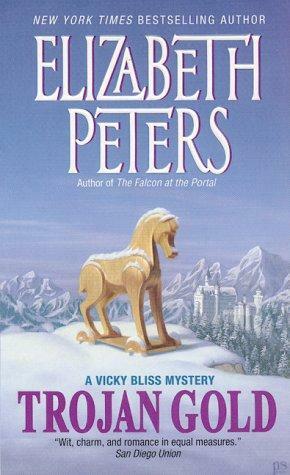 I started reading the Elizabeth Peters books when I was a teenager in the mid to late '80's. I had a book signed by her when she was here in Toledo for the library's Author, Author event (in 1997, I think). I love the Amelia Peabody books and also her other books. Other favorite mystery writers who've died in the last few years are Lilian Jackson Braun and Dorothy Gilman.